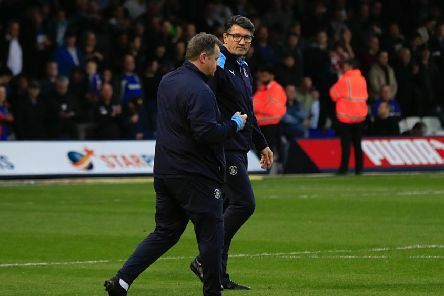 Hatters boss Mick Harford was quick to focus on the positives despite his side being hit by a late, late AFC Wimbledon equaliser during their 2-2 draw at Kenilworth Road this evening. 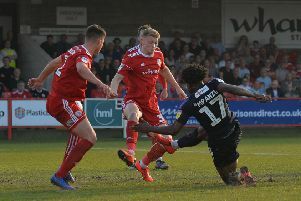 Town midfielder Pelly-Ruddock Mpanzu felt his side put out a statement of intent with the manner in which they dispatched Accrington Stanley 3-0 on Saturday. 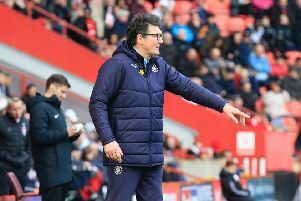 Luton chief Mick Harford isn’t taking anything for granted when it comes to facing AFC Wimbledon at Kenilworth Road tihs evening. 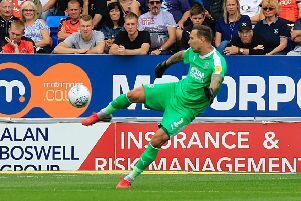 Hatters keeper Marek Stech would love to be given another opportunity between the posts when AFC Wimbledon visit Kenilworth Road this evening. 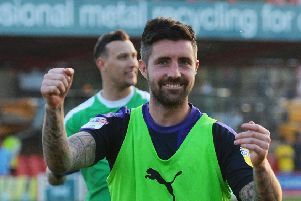 Hatters boss Mick Harford is hopeful that both Alan Sheehan and Elliot Lee are fit to feature in the squad against AFC Wimbledon this evening. Sunderland saw their promotion hopes hit when they were held to a 1-1 draw at Peterborough this afternoon. 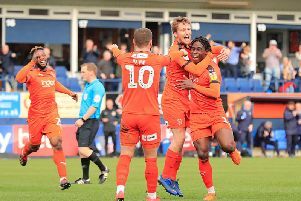 Luton midfielder Pelly-Ruddock Mpanzu will be glued to the goings on in League One this afternoon. 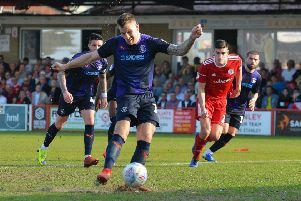 Luton moved five points clear at the top of League One after a 3-0 win at Accrington Stanley yesterday. James Collins netted a penalty in the first half, with Pelly-Ruddock Mpanzu’s double sealing the victory. Here’s how the players rated. Town striker Danny Hylton won’t feature again this season according to boss Mick Harford. 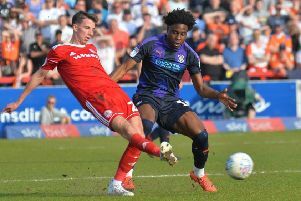 Accrington boss John Coleman had no complaints after his side were outclassed by Luton yesterday evening, going down to a 3-0 defeat. 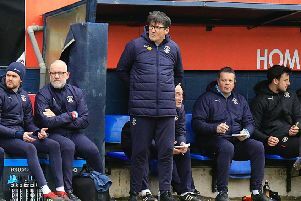 Hatters boss Mick Harford wouldn’t be drawn over whether the shocking pitch at Accrington Stanley was behind the injuries suffered by his side yesterday. 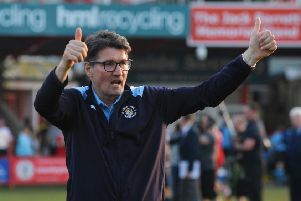 Hatters boss Mick Harford felt this evening’s 3-0 win over Accrington Stanley was an even bigger victory for his side after the pressure was ratcheted up on the outcome following Good Friday’s League One action. 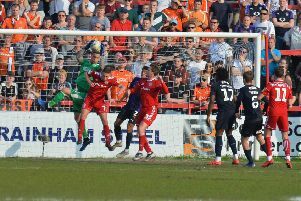 Luton have handed recalls to both goalkeeper Marek Stech and club captain Alan Sheehan for today’s League One clash at Accrington Stanley. 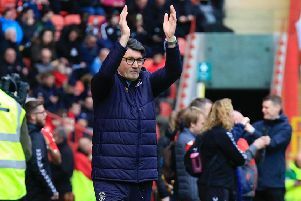 Luton chief Mick Harford hasn’t for one second allowed himself to think about the Hatters getting promoted this season. 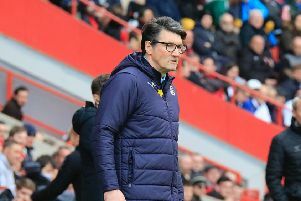 Luton boss Mick Harford has urged his side to show a characteristic they haven’t needed much this season at Accrington this afternoon, ‘bouncebackability’. 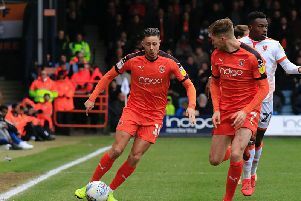 Attacker Harry Cornick expects Accrington to be extra motivated to get one over on Luton again and halt the Hatters’ march to a second successive promotion. 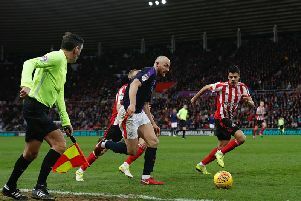 Sunderland saw off Doncaster Rovers 2-0 at the Stadium of Light this evening to move back into third and close the gap on Luton to four points. 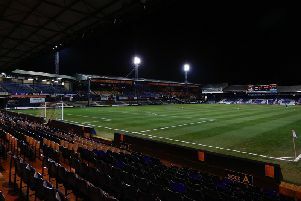 Luton saw their lead at the top of League One cut to two points after Barnsley edged past Shrewsbury 2-1 at Oakwell this afternoon.